I have listed a new property at 106 13870 70TH AVE in Surrey. CHELSEA GARDENS 'CORNER UNIT'. INCREDIBLE VALUE..... THIS UNIT IS PRICED 'WELL BELOW' MARKET VALUE AND THE SELLER WANTS IT SOLD! Enjoy your summer months with the refreshing cross breeze of this corner unit. Extra large patio off the livingroom, for your BBQ and relaxation. You will be amazed with the HUGE MASTER BEDROOM. Secured underground parking. This 23 acre (RAINSCREENED) garden oasis features: RESORT LIKE CLUBHOUSE, ENGLISH STYLE PUB WITH BILLARD TABLE, WORKSHOP, GORGEOUS POOL AND HOTTUB, newly renovated GUEST SUITES, FULL GYM, LIBRARY. The maintenance fee includes: heat, hotwater, gas f/p, garbage pickup, gardening, resident caretaker, management. 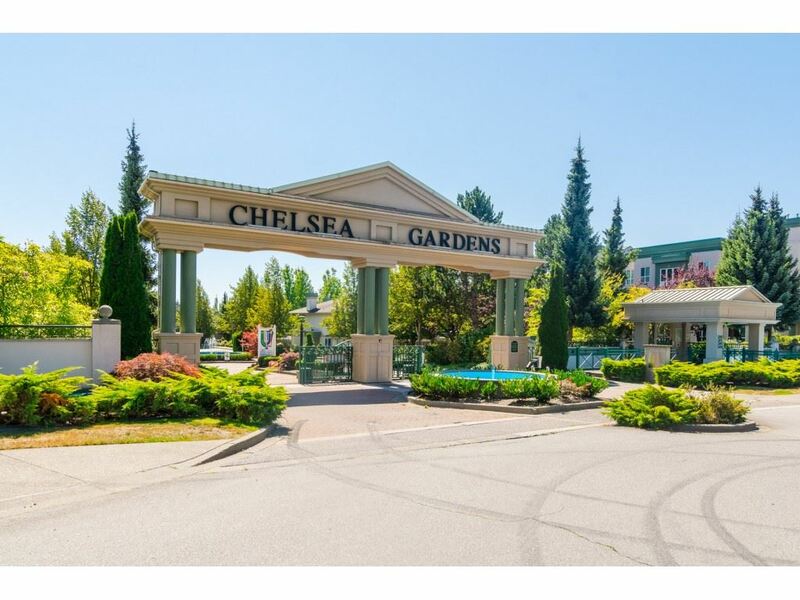 Walk to shopping, seniors center, restaurants and bus stop.